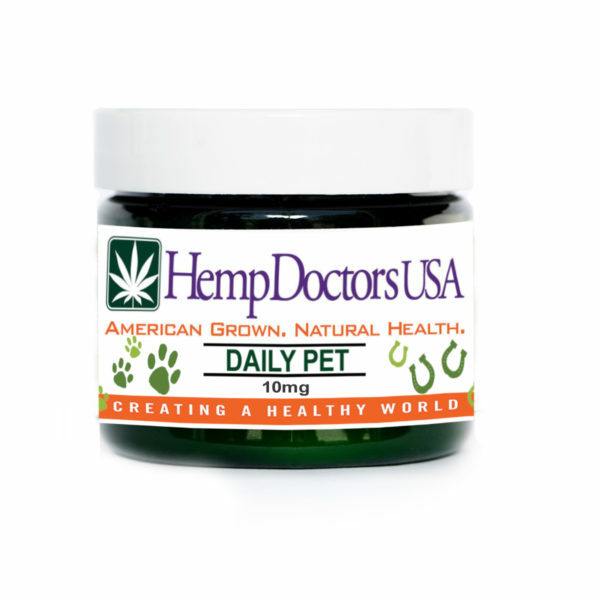 Hemp Doctors USA is proud to present; Pet Daily Hemp Oil Extract Capsules! 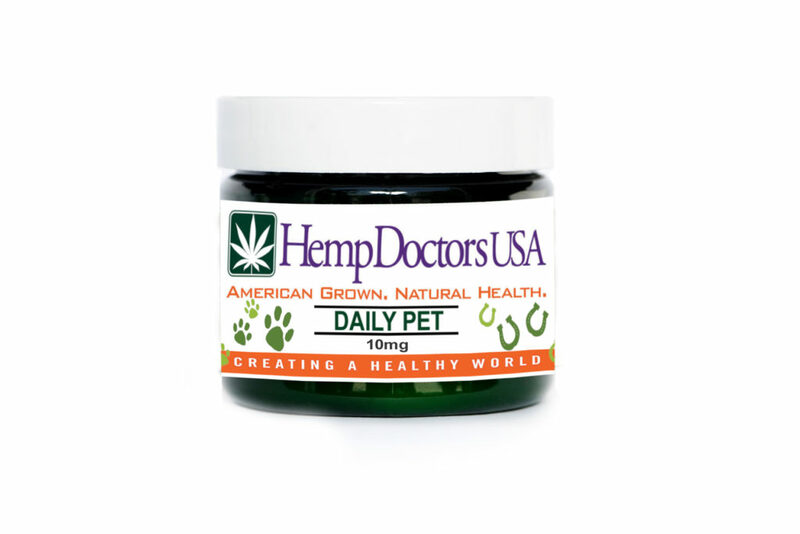 Hemp Doctors USA is proud to present; Pet Daily Hemp Oil Extract capsules! Dogs, cats, and all mammals can benefit from our our NEWLY Formulated products. Each vegan capsule contains pharmaceutical grade hemp oil extracts and essential phyonutrients, naturally grown and made hemp. This unique, proprietary hemp strain provides the most potent and effective compounds from mature stock and sterilized seeds, free of heavy metals and pesticides. This jar contains 30 Capsules, each at 10mgs of Hemp Oil Extract, and is recommended for pets weighing 15-60lbs. **IF YOUR PET(S) HAVE ALLERGIES TO COCONUT, DO NOT ADMINISTER OR USE THIS PRODUCT.